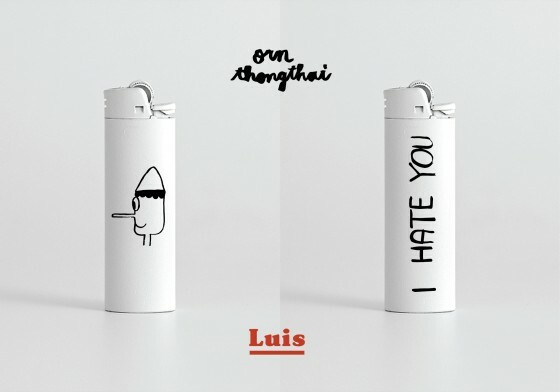 A collaboration with Luis Grocery, Instagram supplier of the chicest lighters since Colette’s lighter selection no longer exists. 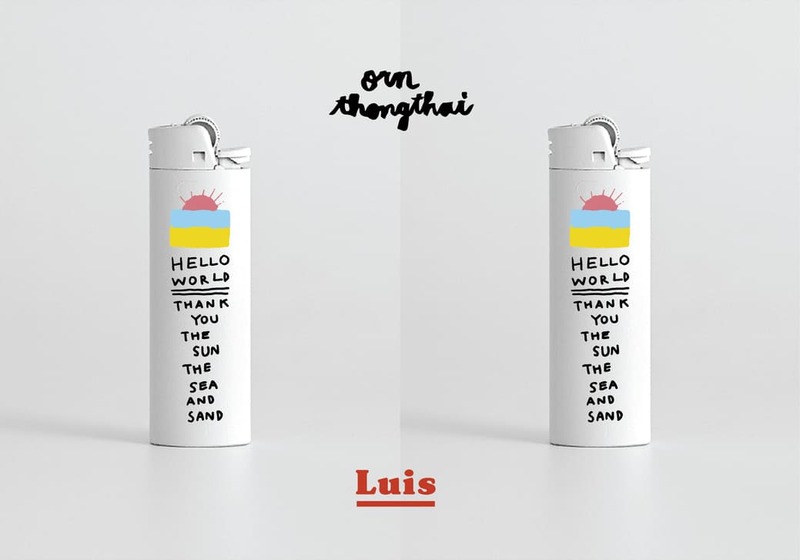 Luis collaborates with artist to make limited edition lighters. With Orn the same radiant message Hello Sun Sea World makes and appearance as that drawing of a long-nosed Pinocchio saying I HATE YOU. What this collaboration does is make you want to carry a lighter again, even if you might have already quit smoking. After all, Pinocchio is lying when he said I HATE YOU. Limited Edition. Copyright © Orn Thongthai. All Rights Reserved. 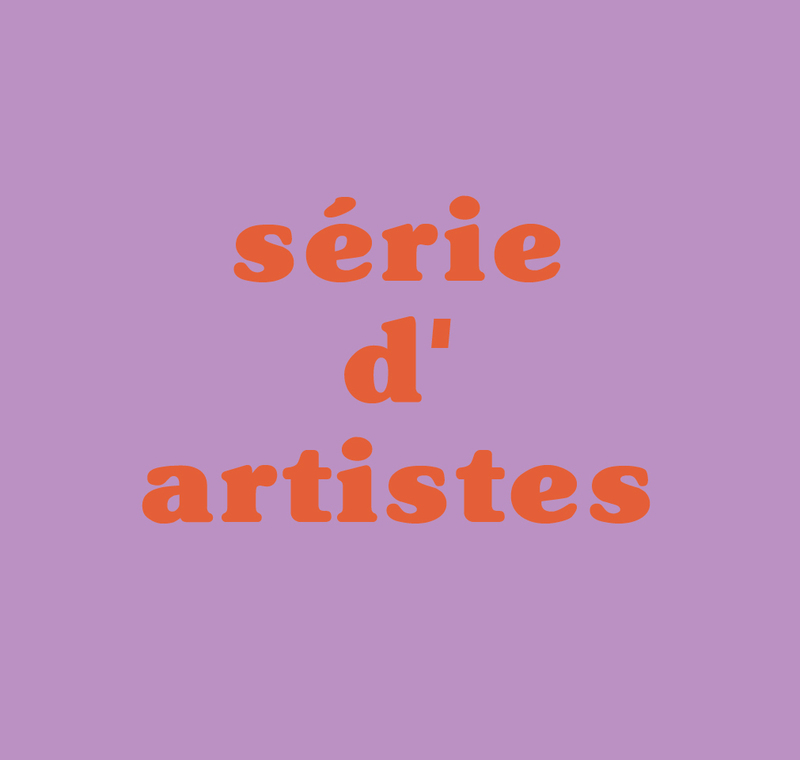 Site by SUFFIX.